An oldie I found when going through archives. 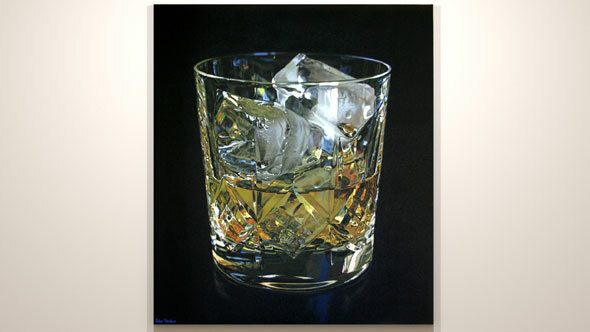 An oil painting on canvas which portrays a crystal whisky glass, with Jameson on ice, from 2006/7. 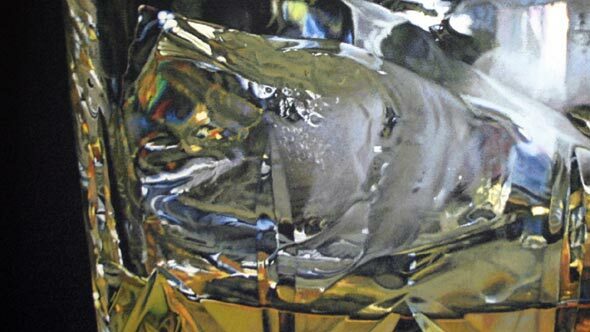 This is one of the last of a series of glass studies from around the time when I was exploring the characteristics of glass and other liquid, in preparation for future work. 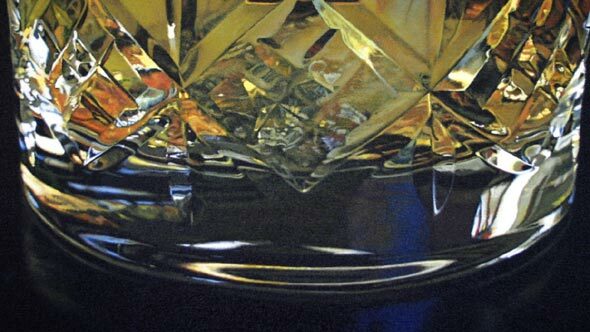 It was during this time that I also attended workshops in glass torchwork, and fusing and slumping, giving me a better ‘feel’ for a material that has always greatly fascinated me. I clearly remember thoroughly enjoying painting this particular work. 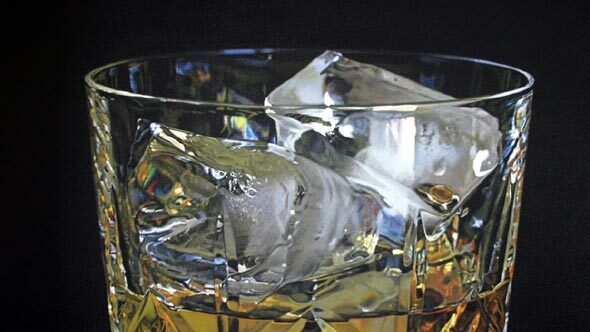 The painting belongs to a private collector in the United Kingdom. 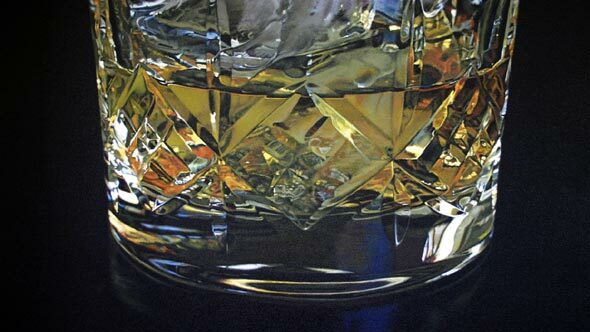 Whisky glass, oil on canvas, 31½ x 27½ x 1 in. (80 x 70 x 2.5 cm).